Our Studio offers a number of services for students of the Polestar Pilates Studio/Rehab Course. 1. Observations: All of our instructors are Polestar trained Pilates instructors and are happy to have observing students in classes provided they do not disturb the operation of the class. * Students doing observations do not park in our clinic or studio carpark such that these spaces be reserved for patients of the clinic and students of the studio. 2. 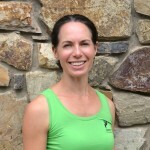 Private Tutorials: By appointment with Melanie North (Pilates Instructor) can be booked by individuals or small groups wanting to Perform Exercise Self Mastery Hours, or be examined for exercise check off. Please contact the studio for further information regarding availability and current pricing, such sessions will involve organising a mutually convenient time. 3. Group Tutorials: Scheduled tutorial groups will be available periodically throughout the year to assist students with their course content, you may contact the clinic or search for Group Tutorials in the courses tab in our booking software alternatively.